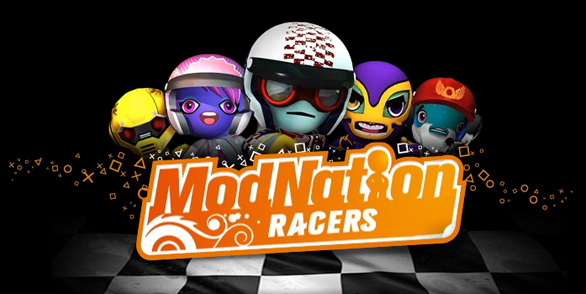 Yesterday, the PlayStation Blog hosted a chat between PlayStation gamers eager to get their hands on a Vita and Vernon Mollette II, the producer of ModNation Racers: Road Trip. As a launch title, MNR: Road Trip is on a lot of PlayStation gamers' minds, and players had plenty of questions to ask. There was a lot of interesting discussion to be had in terms of topics like Trophies and load times. Acquiring all of the game's Trophies, for instance, won't require an online connection, while load times on Road Trip should be much improved from the PlayStation 3 iteration of the game. A demo for ModNation Racers: Road Trip will also be available after the game launches. However, some concerning news about online play was also revealed. While the game will support ad-hoc multiplayer (as long as all parties that want to play have their own copy of the game), ModNation Racers: Road Trip won't support actual online head-to-head play. Instead, online is considered "asynchronous," counting things such as best lap times and ghost races. But if you want to race live against your friends online, you won't be able to. "We are supporting ad-hoc however not infrastructure as in head to head," Mollette wrote during the chat, promising later that the "asynchronous online feature set… is really robust!" Online support will still be granted for Vita-centric options like Near, as well as one of the features at the core of ModNation Racers: sharing your creations. Will you not be picking up ModNation because of this? let us know in the comment section below!